The Dunedin City Council is iD Dunedin Fashion Week’s premier funder. Every year, the council makes a significant financial contribution in support of the event and continues to help iD Dunedin grow. 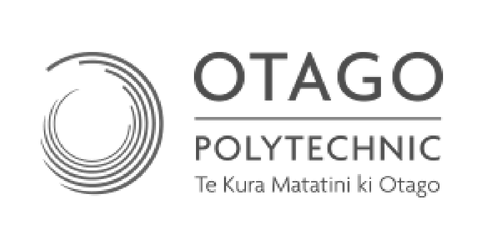 Our partner and principal sponsor for the iD International Emerging Designer Awards, Otago Polytechnic offers a complete range of world-class fashion courses that produce graduates who lead the way in the industry – starting new labels or securing jobs in top fashion houses here and overseas. Dr Margo Barton, Professor of Fashion from the Otago Polytechnic, has long been associated with iD and is now Creative Director and Chair of the iD Committee. BNZ is the principal sponsor of the NZ Designer Show, featuring during the first half of the iD 20th Anniversary Show on Friday 15 and Saturday 16 March 2019. Founded in 1861, BNZ has a long history of supporting local communities in New Zealand. BNZ puts people first, and that’s why they like to help local communities through volunteering and partnerships. Holden is a brand synonymous with innovation in design excellence and the ability to deliver a unique point of difference, creating a memorable drive every time. Holden’s recent partnership with iD Dunedin Fashion Week shows a new commitment to the fashion industry and follows a partnership with designer Tanya Carlson, ambassador for the Holden Cascada. VIVA.co.nz is the cultural barometer people turn to each week to discover the very best in fashion, beauty, food, wine and design. The magazine has a weekly readership of over 280,000 people and comes in The New Zealand Herald every Wednesday. VIVA.co.nz is part of New Zealand Media and Entertainment, a premier integrated media company. The Hits is one of the country's most popular contemporary adult radio networks, broadcasting to 26 markets around New Zealand. Listen live on iHeartRadio. The Hits is part of New Zealand Media and Entertainment, a premier integrated media company. Regent Theatre has been one of Dunedin’s most beloved institutions since opening in 1876. A beautiful heritage building in the heart of the city, the theatre regularly hosts live theatre, music, graduations and prize givings, opera, dance, film, project launches, conferences, circus, festivals and community events. The Dunedin-based Otago Daily Times boasts the longest history of daily newspaper publication in New Zealand, first rolling off the press on November 15, 1861. Today, the newspaper continues to enjoy a prominent position as one of the country's four major dailies. Throughout its history, the ODT has offered quality design and journalism reflecting the Otago region’s interests and aspirations.